This one is a popular mobile in US and Motorola Droid X can aptly be termed as the flagship device of Motorola in the country and works on Verizon Wireless network. The good news is that this wonderful piece of gadget, the Motorola smartphone will also launch in India soon. In India, this phone is going to launch with a different name. The reason for name change is that here it will not get Verizon branding. It is rumored that in India it will be better known as Milestone X or Motoroi X. Motoroi X will launch in the month end around 25th of November, 2010 in India. 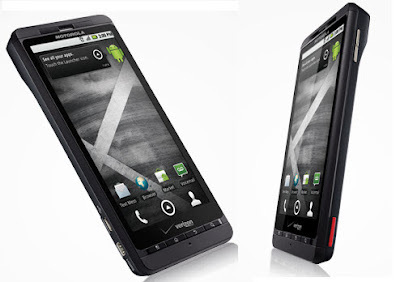 The Motoroi X (popularly known as Droid X in USA) sports some splendid features. For instance, it works on Android 2.2, the latest operating system with MOTOBLUR User Interface. It boasts of speedy 1GHz processor with 512MB RAM and has Flash 10.1 also pre-installed on it. It shall work at lightning speed and flawlessly for efficient performance. There is a 4.3-inch capacitive touchscreen display (480X854 px) on the Milestone X or Motoroi X that has ensemble an 8MP camera on rear with technological advancement such as dual LED flash and 720p HD video recording. Other rich features packed in this gadget are its 1540 mAh Li Ion battery which delivers enough talktime and 40 GB of total memory storage. The Motoroi X also has a micro-HDMI port and microSD card slot. There is GPS with A-GPS, 3G hotspot and DLNA in it. We will keep our readers updated with more news on the device like the exact launch date and price of the handset in India. As of now, no official details like the price of the handset are out except the rumored launch date. 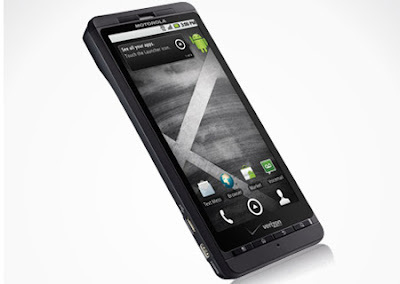 This phone looks same of the Motorola milestone.